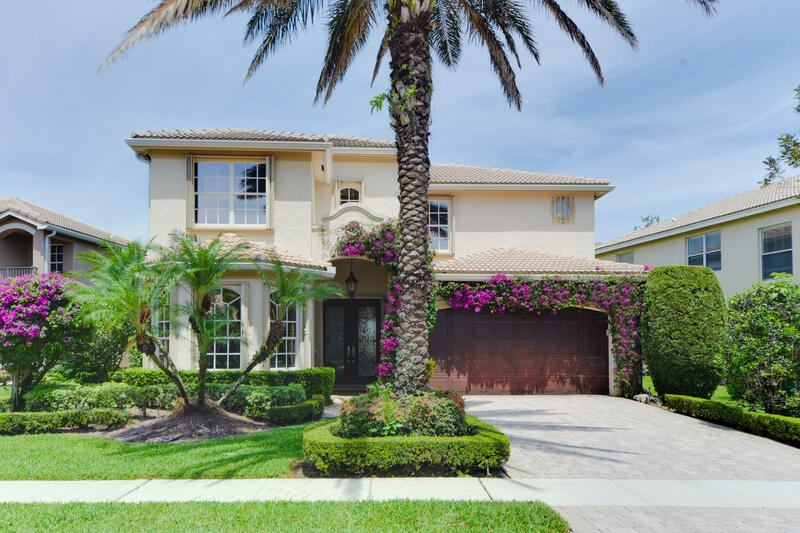 Beautiful waterfront, salt water heated pool home in highly sought-after Canyon Lakes featuring a private in-law or teen suite with its own kitchen, private bedroom & bathroom. You will be enchanted by the gourmet open kitchen which features a state of the art Gas stove & spacious family room. Amazing outdoor area with a covered heated patio which overlooks a salt generous sized pool with gazebo surrounded by amazing water views. Entertain your guests around a built-in outdoor kitchen. Upstairs you will enjoy views on the lake from an over sized master suite leading to a luxurious master bath. You will love the 2 large custom-designed walking closets. Upstairs also includes 2 guest bedrooms with bathroom and a large loft area. The 5th bedroom downstairs is used as an office.